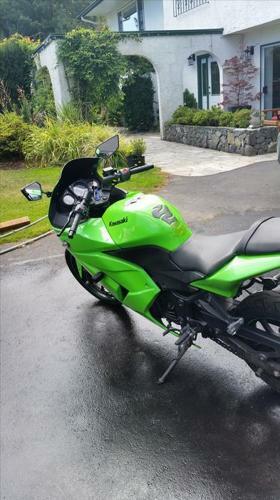 I am selling my Kawasaki Ninja 250. This was my first bike and was great for commuting. Cheap on gas, light weight, very agile and speedy. The lime green is great for being visible and detectable on the roads. Great for beginners and a very fun bike!